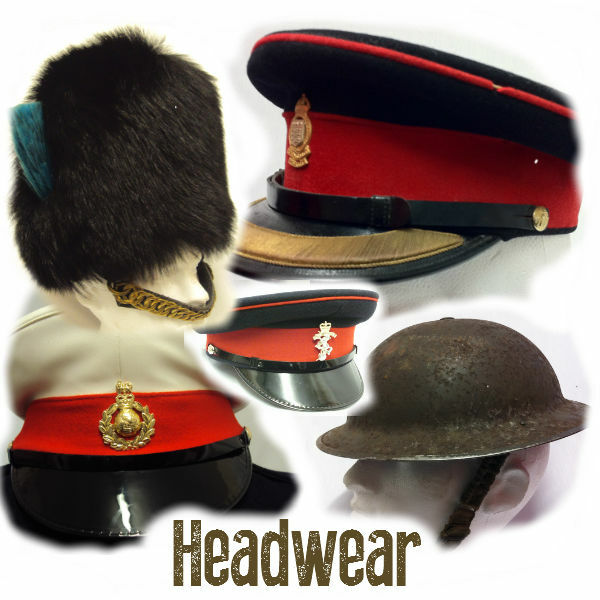 Ceto Militaria is an online store specialising in the sale of surplus British post-war military uniforms - Army, RAF and Royal Navy. 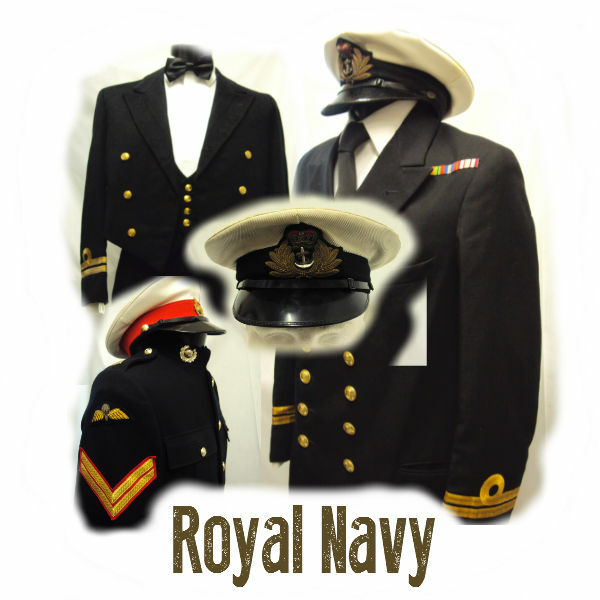 We have a regularly changing stock of Army, Royal Navy and RAF military uniforms fro sale - mess, No1's, No2's, Service Dress, Ceremonial, battledress, combat, headwear etc. 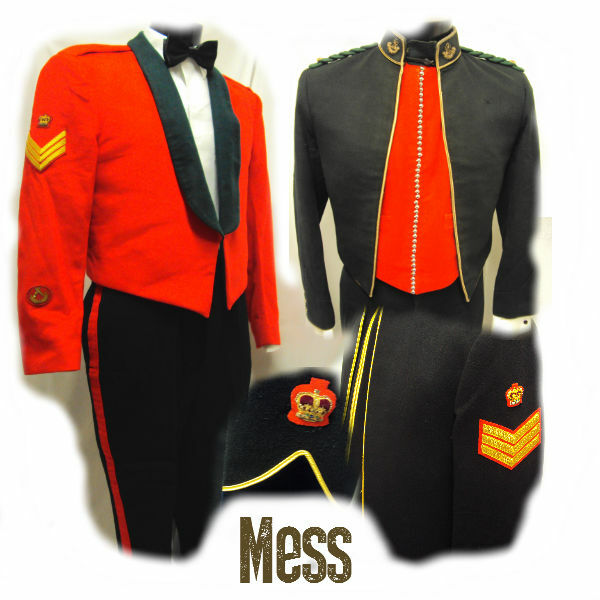 Female uniforms including vintage hosiery. 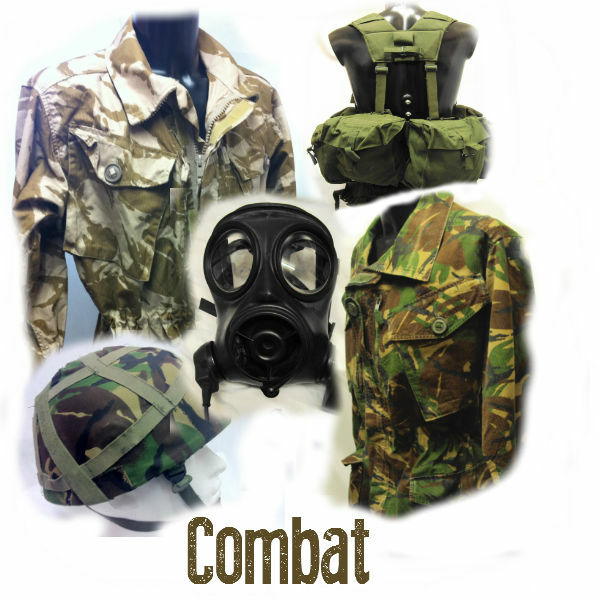 Ideal for collectors and re-enactors, living history, steampunk clothing, serving personnel, or simply as a gift. 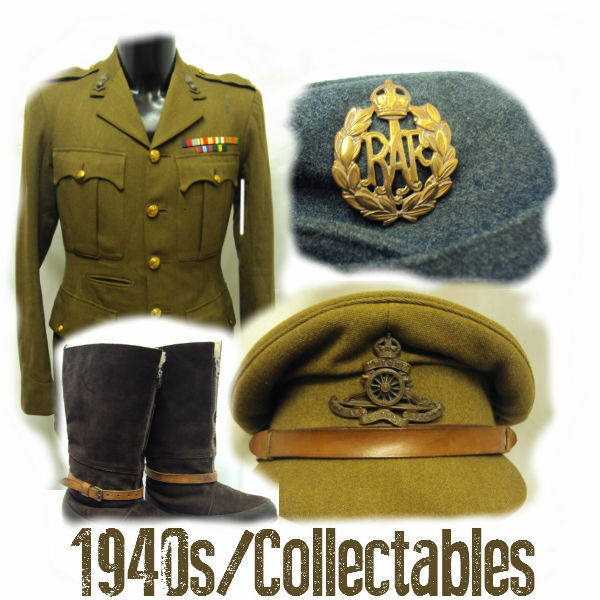 Order now for Goodwood Revival, Twinwood, Woodhall Spa 1940's Festival, Channel Islands Liberation day, 1940s events etc. 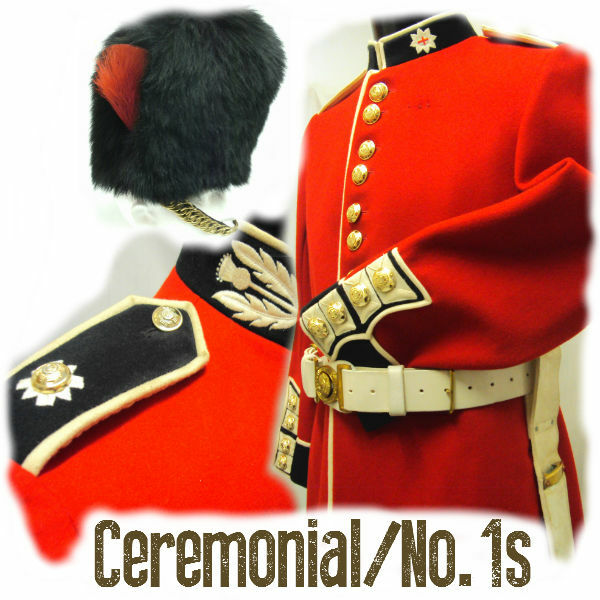 New Stock Mar 2019: RAMC Col Mess (40/41"), WRAF FltLt No1 (12), Female RE Cpl No2 (12/14), RN Officers Crombie 1920s? 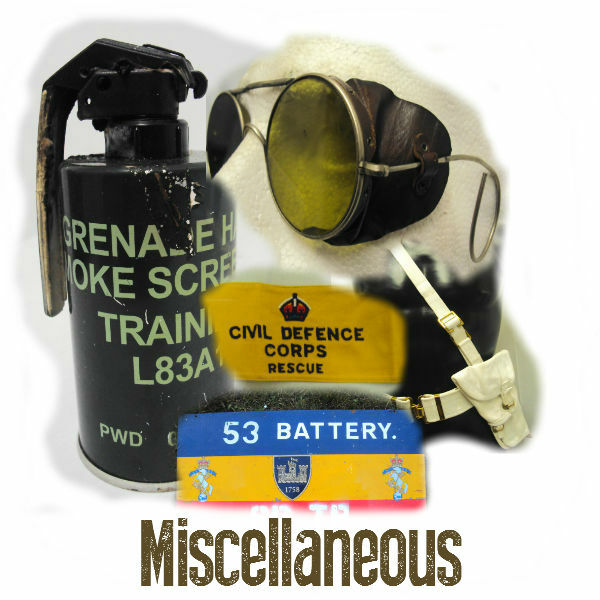 (36/39"), SuitAircrew Mk3 (38/41"), RN LtCdr FAA Obs No1 (41/42") RN LtCdr FAA Obs No1 (41/42"), RN LtCdr No1 (38/40"), MerchantNavy Officer No1 (39/40"), RNR Lt No1/5 (41/42"), RAF WgCdr Pilot Mess (38/39"), RN FAA Cdr Observer Mess (43/44"), RAF FltLt Pilot Mess (37/38"), RGBW S/Sgt Mess (42/44"). 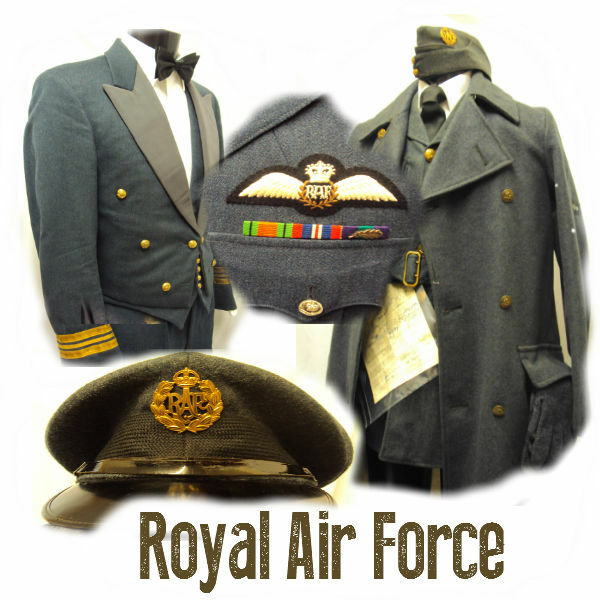 WRNS Rating No1 (8/10), WRNS LR No1 (12/14), RAF Air Cdre Mess (4/3/44"), RAF AVM Mess (42/43"), RAF SqLdr Mess (36/38"), RAF SqLdr Mess (36/37"), RAF FltLt Mess (36/37"), RAMC LtCol SD (38/39"), RA Officer SD (376/37"), RAMC LtCol No4 (40/41"), RE Capt SD (38/39"), RAF WgCdr Nav No1 (41/42"), 1944 RN WD Blouse (40/41"), AAC Cpl No1 (36/37"), RE S/Sgt No1 (42/43"), RLC Cpl No1 (44/46"), Gibralter Rgt Sgt No1 (40/41"), QOGLR No1 (36/37"), RE Mess (38/39"), RAF SqLdr No1 (37/38"), RAF Cpl No1 (34/35"), REME Lt Mess (38/39"), W&SF NCO Mess (41/42"), RA Officer Mess (40/41"), RAOC Sgt Mess (44/45"), RMP Sgt Mess (42/43"), REME Capt Mess (38/39"